Year Two Down… Thank You, RMT’ers! Well, this week marks Year Two in the books for Real Mom Time (RMT). Yep, I’ve stuck with this “blogging thing” for two years straight. I never thought I would keep at it this long, and still, here I am! And why? Honestly, mostly it’s all thanks to you, dear readers, friends, and/or family. Thanks to each and every one of you for the ongoing support, encouragement, and feedback along the way! … And I joined Pinterest this year, too (still trying to work on building that up a bit so stay tuned)! I know that RMT isn’t that “funny mom blog” or that “shockingly honest mom blog” that a lot of you (and me) enjoy, nor is it one that’s soon to get picked up by the Huff Post for its originality, but I believe I have stuck to my original mission: Keeping it real. In the 382 posts now documented on this site, I’ve captured T and our family’s real and honest experiences, from the more mundane day-to-day park and playground outings to our family’s vacation and world-travel experiences. It’s through all these real and at times surreal accounts (even I can’t believe some of the opportunities T has had in his young almost-six years of life – !) I wish to give you a glimpse of not just our own documented family history but also hope I can occasionally recommend a fresh and fun idea or two here and there for you and your kids that you may not have already thought of before. This past year, I’ve expanded the blog a bit to include a few specialized links across the home page showcasing several different groupings of posts together, including our family’s favorite train outings and activities, our detailed travel experiences, and my more recent mom mornings out with Kathy Salazar. My goal through these pages is to give an additional insight as to what’s at our top of mind right now (such as summer camp, woo hoo!). I’ll occasionally rotate topics through here either seasonally and/or as our own interests shift and change as T grows and changes himself. I have even more ideas and goals for RMT’s third year, and I hope you stick around and see what comes of those, too! Whether you are a new reader today or have read every post through today, again, thanks for visiting RMT! 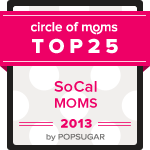 Are you following Real Mom Time (RMT) either as a subscriber, on Facebook, Twitter, or Pinterest? If not, well, what’s stopping you?! If you are a regular reader of RMT, or just finding me for the first time right now, please sign up via one (or all) of these channels today! Posted in General Info, Milestones, Musings	| Tagged anniversary, blog, blog maintenance, commitment, email, facebook, general info, goals, gratitude, growth, hopes, milestone, pinterest, RMT, RSS, second, social media, subscribe, thank you, thanks, twitter, two year | Comments Off on Year Two Down… Thank You, RMT’ers!